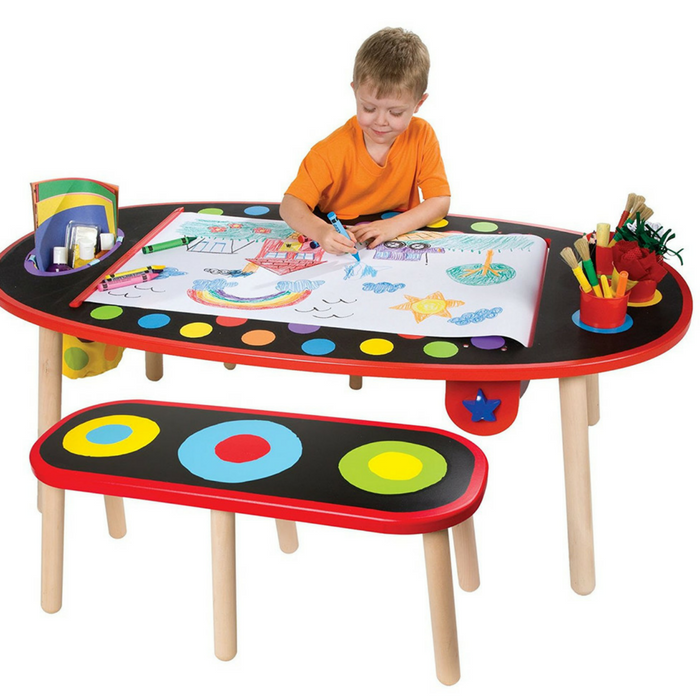 Alex Toys Art Table Just $87.99! Down From $174! PLUS FREE Shipping! You are here: Home / Great Deals / Amazon Deals / Alex Toys Art Table Just $87.99! Down From $174! PLUS FREE Shipping! Head over to Amazon where you can score Alex Toys Art Table for just $87.99 down from $173.92 PLUS FREE shipping! ALEX Toys Super Art Table with Paper Roll will introduce children to the creative world of art. This solid wood table with artist print is easy for adults to assemble and includes (2) matching benches. The chalkboard tabletop surface features a paper cutter, recessed cup holes, cups and a printed canvas storage bag. Let the artistic fun begin. This is the best price ever! It’s a great Christmas present too!